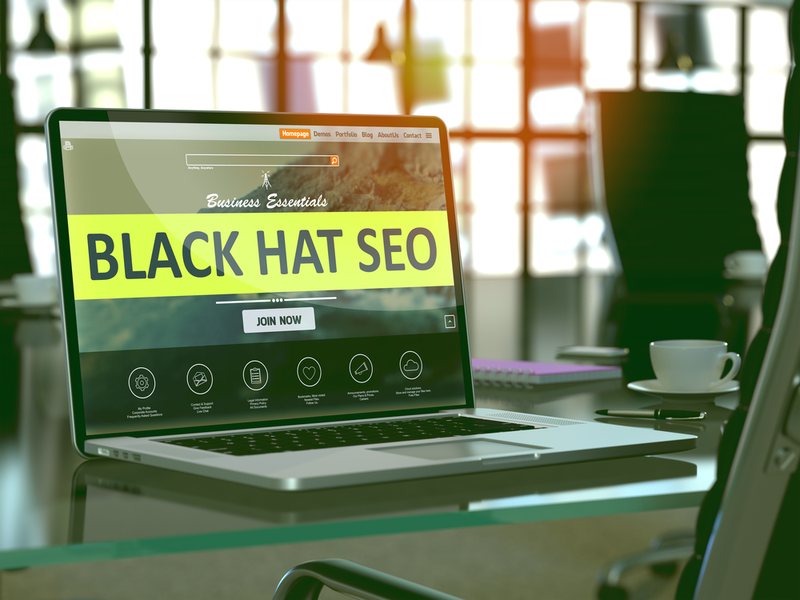 Black Hat SEO: Controversy over what White Hat SEO and Black Hat SEO mean are not new, and discussions still continue to emerge on the issue. Those in the SEO field talk about intent, about legal limits, but what really matters is what we report when we talk about white or Black Hat techniques. In the following I will only refer to what Black hat SEO means in terms of what infringes search engine rules - Google first. Because most sites that want to optimize their content generally take into account Google's rules (not just because they are fair, but also because they risk being penalized), and use white hat techniques to optimize sites that try optimization by Black hat SEO techniques is intended to better rank in the list of results through deceptive tactics. Of course, the use of Black hat SEO methods will only bring disadvantages to a business that is trying to promote itself. Although the Black hat SEO techniques initially seem to bring great results, it is inevitable that it will not come to the moment that Google realizes that it is tricked and will seriously penalize that site for the techniques used. Spam means uploading a page with far too many keywords in both the content and page code (meta tags, other tags, title tags, comments, invisible text), which makes a page impossible to read. It is clear that such content is created exclusively for search engines. However, it is precisely this load that returns as a boomerang against the site, because Google can reduce the page rank of such a site or simply ban it. In principle, Google is open to a fairly small percentage of keywords in the content of a page, and that is why it is recommended to pay close attention to their page density. It's a very common Black hat SEO technique, and it involves posting identical content on multiple sites or multiple pages of the same site, but with the only difference that different keywords are included in the text. Although it's about copied content from one site to another, the bad news is that Google does not make the difference between the one who first posted the content and the one who copied it, violating the right copyright. It's the technique by which a site or its pages have content intended for the public different from the search engine. Thus, the search engine crawler version is full of keywords and phrases that make it worth a higher page rank. On the other hand, the Internet version is more cursive and easy to read. Different variants are provided by a program that compares the IPs on which the search is launched. Although it is an old technique, the insertion of hidden text is still practiced. These are hidden portions of the page visitors, but very visible to the crawler. If in the past the text was hidden from the site users by writing with a very small font or by using the text in the background color of the page, today the search engines have algorithms that immediately detect these "tricks". What is currently used as a Black hat SEO technique for hidden text are CSSs (cascading style) or duv tags. The bad news, however, is that even for their detection, search engines are well prepared, so avoiding such techniques. They are specifically designed to earn a higher page rank. Doorway Pages can be generated by special software, or designed in a classic way. They generally contain duplicate content from other sites, which are added to the keywords for that page and although they do not make sense to readers, they are not addressed to them, but only to search engines that give them a position the best in SERP. There are pages in which content is found numerous keywords that redirect quickly to other pages. Such pages are placed very high in SERP and are therefore accessed by many internet users interested in the content of these sites but who eventually arrive at other sites they have not requested. This is a group of sites that are specifically designed to increase the PR of another site. No matter how big the temptation to use these tricks to have the best positions, a higher PR, and in fact to attract as many visitors as possible, Black hat SEO techniques are not an option for a site that wants authority and great PR. The results of this type of SEO appear really fast, but as the reports appear so quickly disappear ... In addition, they bring with them serious problems for a site and important penalties on the search engines that do not like in any form so many attempts. Also be aware of the links.